TPS For Haiti Has Been Extended For Six Months. I Have TPS. What Do I Do Now? TPS for Haiti has been extended for 6 months. On May 22, 2017, DHS Secretary John Kelly announced that TPS for Haiti will be extended for another six months, until January 22, 2018. That is good news for Haitian nationals with TPS and their families, but not great news. DHS could have extended TPS for a maximum of 18 months, but did not. DHS could have also terminated TPS as of July 22, 2017, but it did not. 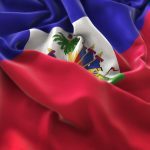 There was a fear that the government would end TPS for Haiti immediately, which would have effectively taken away work permits and TPS status for over 50,000 Haitian nationals currently in the United States. Thankfully, that did not happen this week. However, Secretary Kelly was quite clear that this six-month extension of TPS for Haiti would likely be the last and that Haitians with TPS should either find another way to stay legally in the United States, or prepare to return to Haiti early next year.